Osteoporosis is a disease that weakens bones, making them more susceptible to sudden and unexpected fractures. Literally meaning "porous bone," it results in an increased loss of bone mass and strength. The disease often progresses without any symptoms or pain. Generally, it is not discovered until weakened bones cause painful fractures. Most of these are fractures of the hip, wrist, and spine. Osteoporosis occurs in both men and women, although women are four times more likely to develop the disease than men. Fortunately, there are steps you can take to prevent osteoporosis from ever occurring. Treatments can also slow the rate of bone loss if osteoporosis is present. Although we do not know the exact cause of osteoporosis, we do understand how the disease develops. Your bones are made of living, growing tissue. An outer shell of cortical or dense bone encases trabecular or spongy bone. The inside of healthy bone resembles a sponge. When osteoporosis occurs, the "holes" in the "sponge" grow larger and more numerous, weakening the internal structure of the bone. Up until about age 30, a person normally builds more bone than he or she loses. After age 35, bone breakdown outpaces bone buildup, resulting in a gradual loss of bone mass. In a person with osteoporosis, bone mass is lost at an accelerated rate. Who is most at risk for developing osteoporosis? Gender – Women over the age of 50 or postmenopausal women have the greatest risk of developing osteoporosis. Women experience rapid bone loss during and 5 to 10 years after menopause. Menopause decreases the production of estrogen, a hormone that protects against excessive bone loss. Age – Your risk for osteoporosis increases as you age. Race – Women of Caucasian and Asian descent are more likely to develop osteoporosis. Bone structure and body weight – Petite and thin people have a greater risk of developing osteoporosis because they have less bone to lose than people with more body weight and larger frames. Family history – If your parents or grandparents have had any signs of osteoporosis, such as a fractured hip after a minor fall, you may have a greater risk of developing the disease. Nutrition – You are more likely to develop osteoporosis if your body lacks sufficient amounts of calcium and vitamin D.
Lifestyle – People who lead sedentary lifestyles have a higher risk of osteoporosis. Medications – Certain medications result in side effects that may damage bone and lead to osteoporosis. Smoking – Your risk for osteoporosis increases if you smoke. Replacing lost estrogen through hormone therapy also provides a strong defense against osteoporosis in postmenopausal women. To maintain strong, healthy bones, a diet rich in calcium is needed throughout your life. Your need for calcium becomes even greater as you age.The U.S. 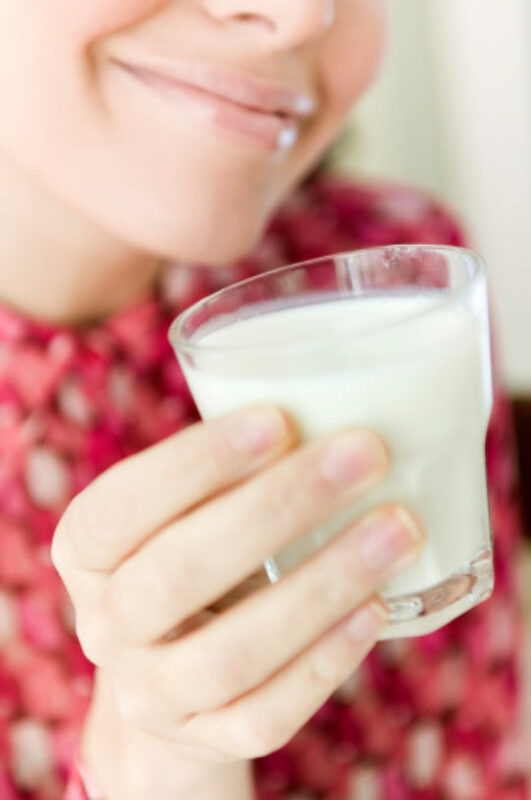 Recommended Daily Allowance (USRDA) for calcium is 1,000 milligrams per day. How can I know if I have osteoporosis? Painless and accurate medical tests can provide you with information about your bone health before problems begin. Bone Mineral Density tests (BMD tests), or bone measurements, also known as Dual X-ray Absorptiometry (DXA) scans, are X-rays that use very small amounts of radiation to determine the bone density of the spine, hip, wrist, or heel. Your physician can order these tests for you.